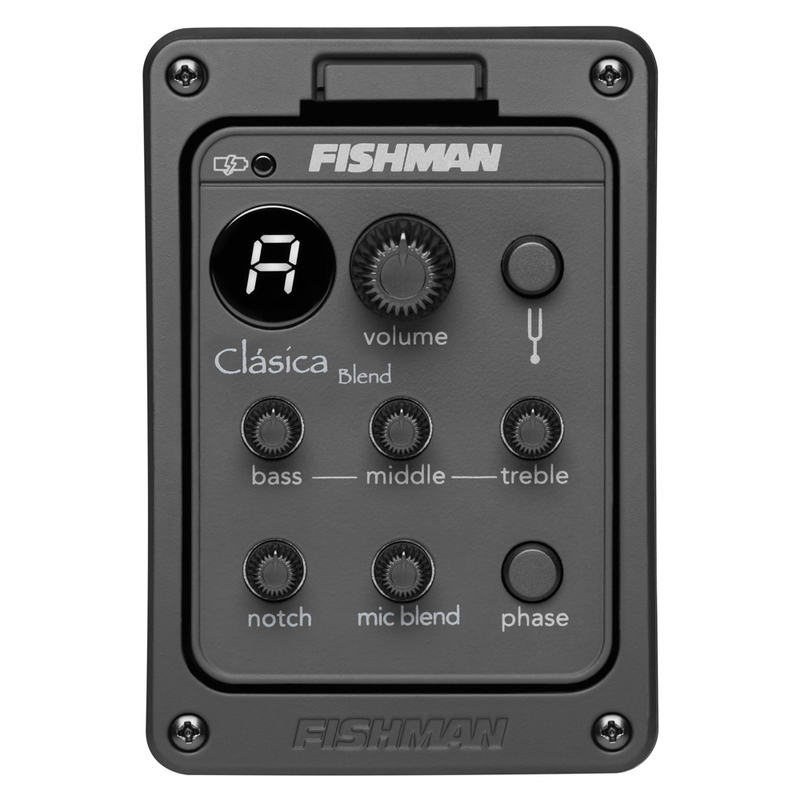 Optimized specifically for nylon string instruments, Fishman’s new Clásica Onboard Preamp Systems offer a comprehensive range of features in a compact design. The Clásica Blend system comes complete with a pre-wired Sonicore Classical pickup for solder-free, plug and play installation. Additional system features include an easy to read chromatic tuner, low profile control knobs, phase button and 3-bands of EQ. The Clásica Blend adds a notch filter to control feedback and an on-board microphone to blend in the guitar’s natural body resonance.